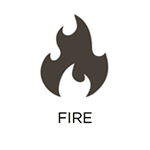 In both residential and commercial settings, it can be a difficult time in the aftermath of a fire. This is because of the devastation that the fire can cause, as well as the additional damage that smoke, soot, and other corrosive byproducts can result in. At RestorationMaster, we offer 24/7 fire damage restoration services to repair, sanitize, and deodorize all affected areas and belongings. We offer these services to property owners in Cleveland Heights, OH. The presence of excess water and moisture is one of the leading causes of property damage in Cleveland Heights, OH. 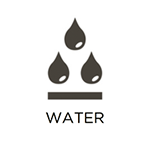 To assist property owners, we provide complete water damage restoration services here at RestorationMaster. Whether the water is due to a burst pipe, sewage backup, overflow, leak, or really anything else, our technicians are trained and qualified to fix the issue and restore affected areas and belongings. We provide this service 24 hours a day to prevent unnecessary damage from occurring. For better or for worse, residents of Cleveland Heights, OH, experience all four seasons. As a result, they are also exposed to a variety of storms that can cause extensive property damage. At RestorationMaster, we provide storm damage restoration services to stabilize your property and cover any openings in your building. This prevents any additional damage from occurring. Once your site is secured, we can proceed to more permanent repairs. To learn how we can assist you, simply contact our representatives. RestorationMaster is a leading provider of mold remediation services in Cleveland Heights, OH. This trust stems from the seriousness with which we treat mold removal. 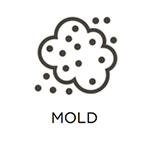 Mold is notorious for how easily it can spread, and it has the potential to severely damage buildings and their contents. It can even cause disastrous health effects for individuals who are regularly exposed to it. By utilizing state-of-the-art mold removal equipment and procedures, we locate and eliminate all mold from your property. 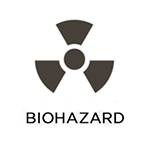 Biohazard materials (like blood, bodily fluids, bodily tissues, and similar elements) are dangerous because of the infections and diseases they can spread when mishandled. For this reason, local, state, and federal regulations are put in place to ensure that it is properly disposed of. At RestorationMaster, we abide by these procedures through our trauma and crime scene cleaning services. We will remove these hazardous materials from your property in Cleveland Heights, OH, and return affected areas and belongings back to their original conditions. Blood, bodily fluids, and bodily tissues are common examples of biohazard materials; however, certain chemicals and sewage are classified as biohazard materials as well. This is because they all have the potential to spread harmful viruses, diseases, and infections. As a result, state health and OSHA regulations are in place to ensure that these elements are disposed of properly. At RestorationMaster, we abide by these regulations, sanitize your property, and restore affected areas and belongings through our biohazard cleaning services. We offer these services to property owners in Cleveland Heights, OH. Commercial properties in Cleveland Heights, OH, are uniquely affected by property damage because of the scale in which it typically occurs, as well as the resulting down time that follows. At RestorationMaster, we provide commercial restoration services to get your operations up and running again as swiftly and effectively as possible. We can do this in response to any event (such as floods, fires, mold growth, and more), and can assist on any scale. To learn more, we encourage you to contact our representatives.